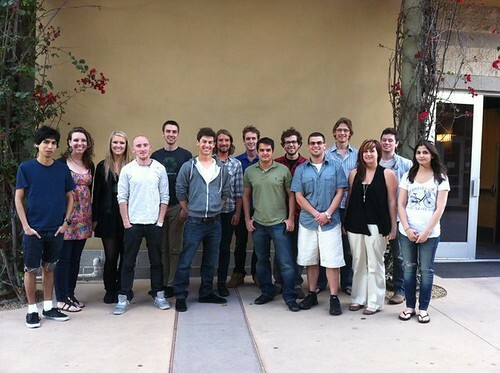 Welcoming the Summer 2011 LA Program interns, one of our largest groups yet! There are a variety of majors in this group, covering 8 out of the 12 majors offered at Berklee. Below is a list of some of the companies students will be interning at this summer. If you’re interested in pursuing an internship during your Berklee career, visit the Office of Experiential Learning. If you’re an alum, the IN-103 option may be a perfect fit. This is great! We’ve had 18 before but haven’t had 15 in awhile. Busy summer. Enjoy, all. It’s been great so far! What an unparalleled experience being an intern in LA….